Guardian News & Media has named Paul Johnson as deputy editor. Johnson will retain his role as head of news, business and sport, and will work under editor Alan Rusbridger across print and online. 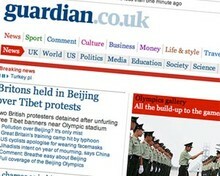 The publisher has also named Ian Katz and Katharine Viner as deputy editors of the Guardian. Katz, who will continue to lead the development of the Guardian's environment website, will be Monday to Friday editor, while Viner will take on the role of Saturday editor. The editorial changes are in preparation for the group's move to new offices near Kings Cross in London at the end of the year, a press release said. Johnson, Katz and Viner will take up their new roles in mid to late September.